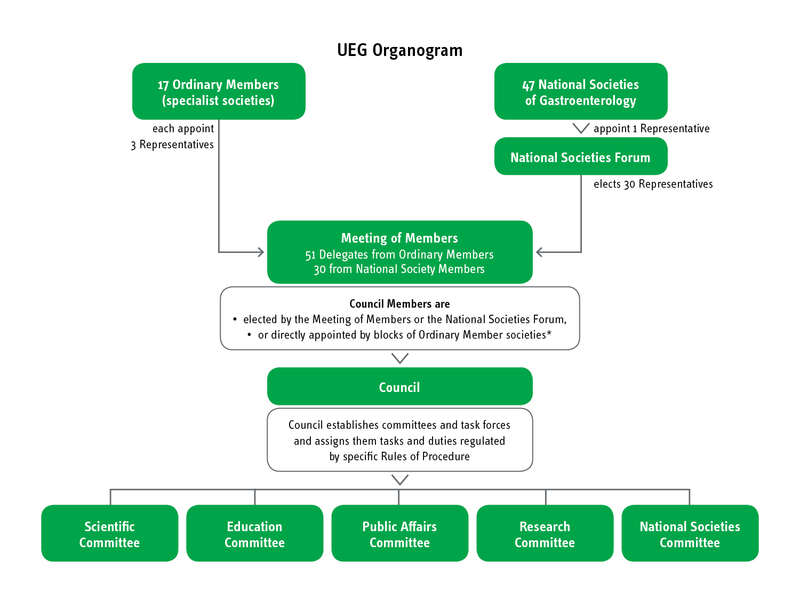 UEG consisting of 17 Ordinary Member Societies and 47 National Societies is a vibrant organisation that constantly adapts to the changing requirements of scientific research and health care. It ensures that all UEG Specialist- and National Member Societies are represented appropriately. Each society sends representatives to the Meeting of Members, which occurs once per year at the annual UEG Week. The Meeting of Members has various responsibilities defined in the UEG Statutes, including electing the major officers of UEG. All officers of UEG, regardless of position, provide their effort and time on a complete voluntary basis, thus making UEG a non-profit organisation concerned solely with the well-being of patients. 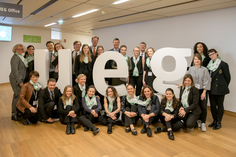 To assist them with their tasks the UEG Secretariat manages all the daily activities of UEG, from running the educational programme to organising the annual congress. The committee structure of UEG enables interested volunteers to play an active role in shaping current and future UEG initiatives and thereby helping advance gastroenterological care in Europe and beyond. Each committee was assigned a set of responsibilities and tasks associated with the different activities of UEG. 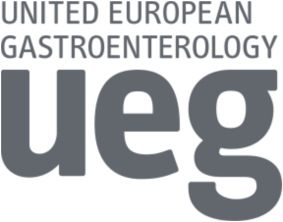 Have a look at our guidelines for becoming members of UEG committees to be informed about the various opportunities of advancing European gastroenterology together with UEG.